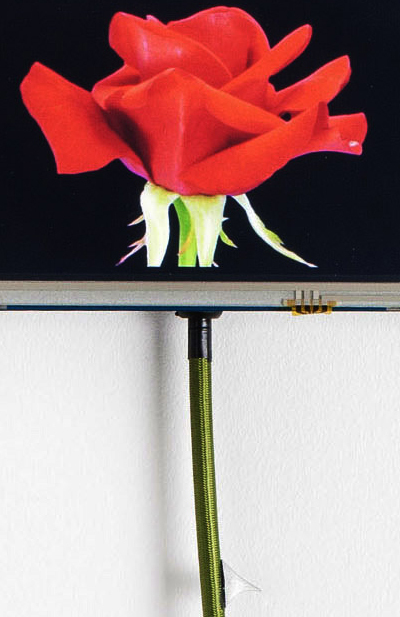 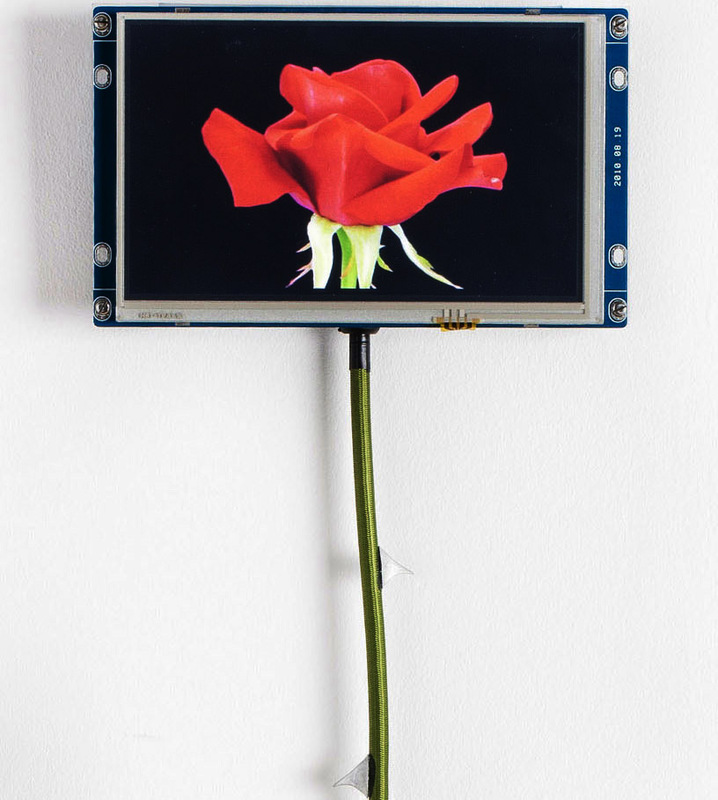 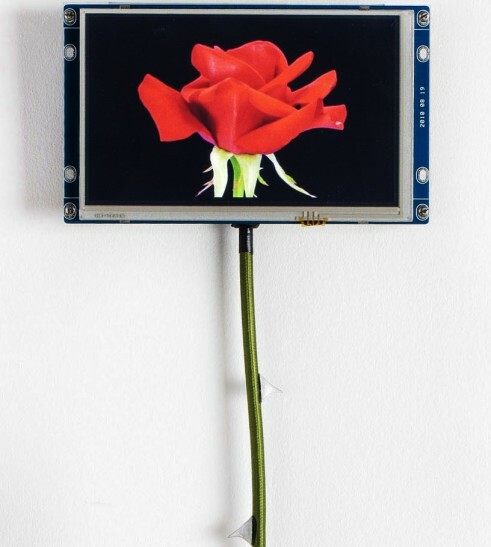 Mini wall video Installation – Slow motion video of a rose bud opening into a rose. 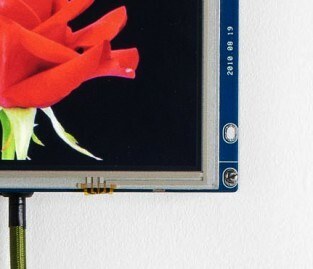 Custom manufactured & programmed 7” LCD screen. 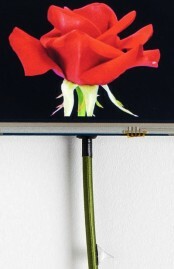 Textile flex with applied cast metal thorns.